Beneful Prepared Meals Dog Food With Beef, Carrots, Peas & Barley - 10 oz. 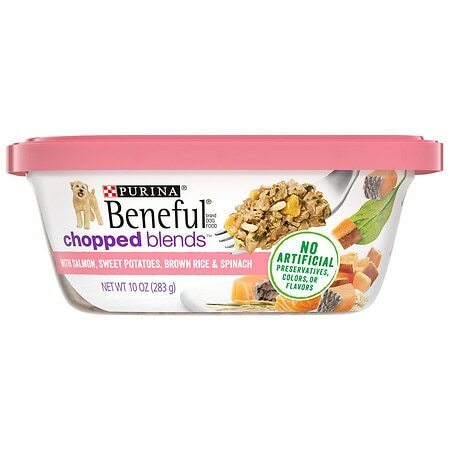 Beneful Prepared Meals Dog Food With Salmon, Sweet Potatoes, Brown Rice & Spinach - 10 oz. 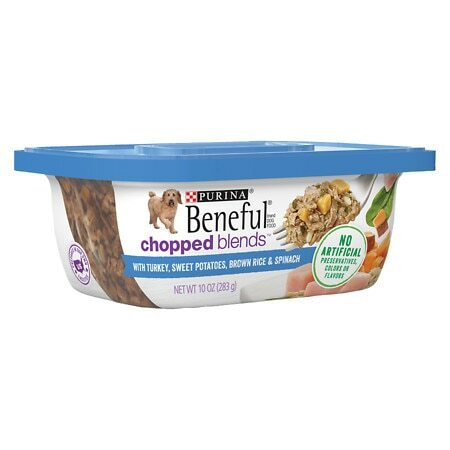 Beneful Prepared Meals Dog Food With Turkey, Sweet Potatoes, Brown Rice & Spinach - 10 oz.